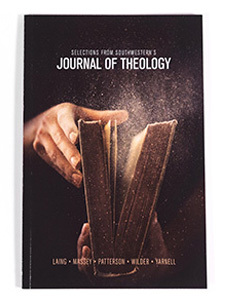 This volume comprises a collection of articles from the Southwestern Journal of Theology, a biannual publication produced by Southwestern’s School of Theology. Written by Southwestern faculty, these articles will educate readers on engaging the culture and engaging the world. Specific topics include New Atheism, missiAConal contextualization, and the relationship between theological education and missions. Authors include Southwestern professors John Laing, Paige Patterson, Malcolm Yarnell, John Daniel Massey, and Terry Wilder.